Placemats – Donna Church Table runner – Connie Griffith Apron – Carter Shirreff THANKS TO ALL OF OUR SPONSORS AND SUPPORTERS ANDTHE BREW CREW AT THE BLACKFOOT RIVER BREWERY! Come join us at the Blackfoot River Brewing Company for Community Monday on June 4th. $1.00 from every drink is donated to Kay’s Kids. These wonderful people have donated over $185,000 to support nonprofits in our community! They’re AWESOME!!! PRE-REGISTRATION IS REQUIRED FOR THE 2018 SUMMER RECREATION PROGRAM. This FREE program is sponsored and paid for by the Kay McKenna Youth Foundation!! Please be aware that it is important to know the specific dates your child will attend. Another child may want to attend and is on a waiting list. Build a Better Community, August 19, 2018. Buy a beer, support KMYF! BUILD A BETTER COMMUNITY! TEN MILE BREWERY AND LOFT STUDIO SUPPORTING OUR COMMUMITY! We have been offered a great opportunity by Loft Studio and Ten Mile Creek Brewery! Sunday, August 19, 2018, the Kay Mckenna Youth Foundation will be the featured non-profit at Ten Mile Creek Brewery – 48 N. Last Chance Gulch, Helena, Mt. $2.00 from every Dowm Dawgs and Drafts participant will go to the Kay McKenna Youth Foundation. The cost is $10 for the class and a pint of your choice. Please bring a mat if possible. Do yoga, drink beer, make a difference. 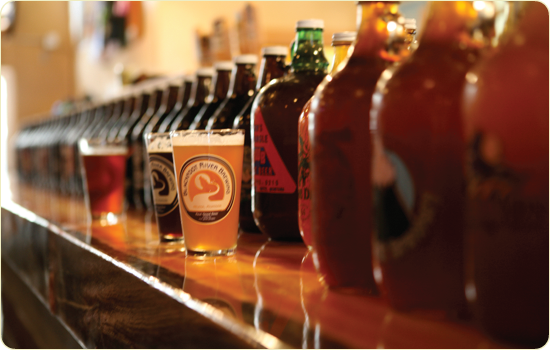 If you can’t make it to yoga, stop back in after 5:00pm for Brew a Better Community Night. $1 from every beer sold goes to the KMYF also. The Kay McKenna Youth Foundation would like to thank all of you that give so freely of your money and your time during the Give Local Helena. We are excited to be working with Helena Area Community Foundation and the Give Local Helena event which took place May 4th and 5th. THANKS TO ALL WHO SUPPORTED KMYF. KAY’S KIDS THANKS YOU. The first event is coming soon so put this on your calendar! Friday, January 22, 2016 – Free ice skating, including ice time and skates, if needed. 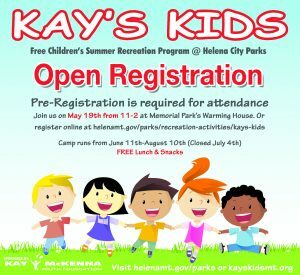 Time: 12 noon to 8pm at Helena Memorial Park warming house and Ice skating rink. Open to all children and adults. And the KMYF board will be on hand from 3:30 – 7:30 pm for a meet and greet. AND with cookies and hot cocoa! 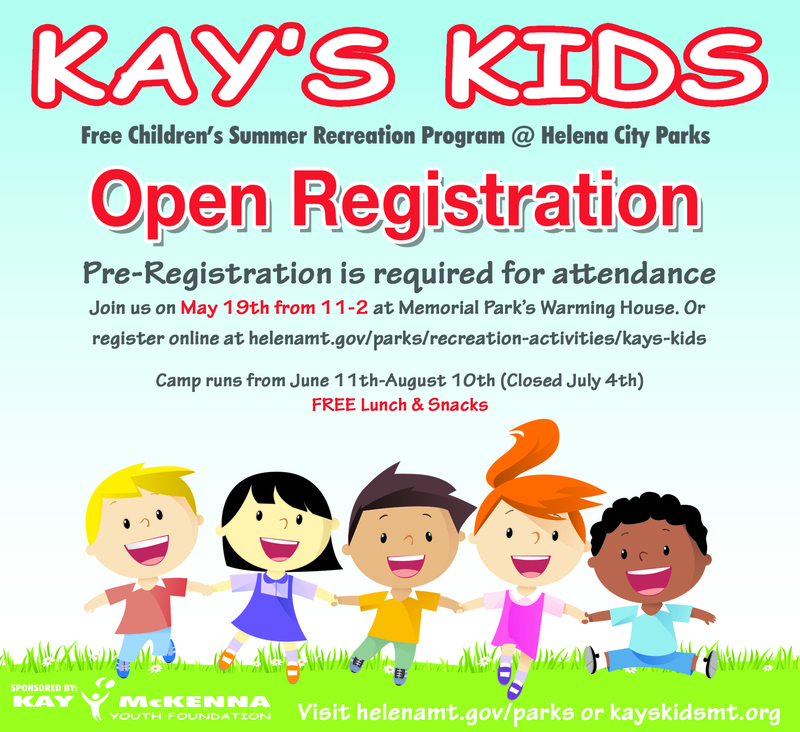 Sponsored by the Kay McKenna Youth Foundation, for the Kays kids summer youth program. ——————————————————————————————————————————-Check this out. What an awesome surprise! Join us at the Lewis & Clark Brewery Tuesday, October 28 for their weekly Ales for Charity fundraiser. A portion of beer sold this evening will benefit our non-profit organization. Find out more: http://lewisandclarkbrewing.com/ales-for-charity-night. Come down to On Broadway Monday, April 28th for lunch or dinner and the Kay Mckenna Youth Foundation will receive 50% of the restaurant’s proceeds from all food and beverages sold. Coming this February is the 16th annual Fundraising Dance for the Kay Mckenna Foundation! The dance will take place at the Civic Center on Friday, Feb. 28, 2014 from 8 p.m. – midnight and the doors open at 7 p.m. The event is 18+ due to the no host bar. This is the largest fundraiser for the Kay’s Kids summer program and all proceeds will go to continuing the program. The Tiny Band is traveling from Bozeman, Mont. for the 16th annual Kay Mckenna Youth Foundation fundraising dance this year at the Civic center. “With a lineup of local luminaries, The Tiny Band repertoire is a blend of Motown, rock, soul and pop standards that keeps the dance floor pulsing. Since July 2010 they’ve entertained guests at weddings, parties and special events to rave reviews. With hits ranging from Stevie Wonder to The Beatles, Michael Jackson to Adele, they’ll get you out of your seat and onto the dance floor. The Tiny Band brings big vocals, high energy and anything but a tiny sound.” This 8 person band is sure to blow you away! Want a sneak peak at the Tiny Band before the dance? MacKenzie River and the Kay Mckenna Youth Foundation (KMYF) invite you to dine with us on Tuesday, March 18, 2014. Order your favorite items and the KMYF will receive a donation of 20% of your meal dollars. Must present voucher below when settling your bill to ensure we receive your donation!